Even savvy influence professionals using powerful persuasive techniques sometimes find themselves on the losing side of an argument. Brad Sagarin can explain why. Research indicates that one of the reasons even good campaigns go bad is that influence agents frequently overlook the ways in which their audiences resist their techniques. This presentation, drawing on social science research into natural human patterns of resistance to influence, gives examples from successful influence and counterinfluence campaigns. The approaches covered here have been used to do everything from financing political campaigns and shaping public policy to selling new gadgets. And these techniques can be relevant in your own practice as well – whether you’re preparing a marketing mailing to everyone on your list, or negotiating with a single client through all the stages of closing a deal. Dr. Sagarin explains five important methods that help instill resistance in allies, and five additional methods that help overcome the natural resistance of doubting audiences. Dr. Brad Sagarin is a professor of social and evolutionary psychology at Northern Illinois University, where he studies social influence, resistance to persuasion, deception, jealousy, infidelity, and human sexuality. Brad has been published in a variety of scholarly journals, has given radio interviews, has consulted for radio and television programs, and has lectured widely. His research has been cited in newspapers and magazines, including The Economist, The Atlantic, and New Scientist. 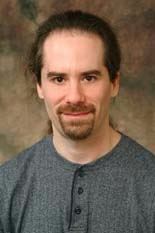 He holds master’s and doctoral degrees in social psychology from Arizona State University. He has a bachelor’s degree in computer science from the Massachusetts Institute of Technology. Brad builds on the work of his mentor, famed ASU social psychologist and marketing professor Robert Cialdini, author of Influence, and Yes! 50 Scientifically Proven Ways to Be Persuasive. Note: Dress will be casual for our annual summer barbecue.